It’s been ten months since our last Newsletter. Terribly sorry for that; it’s proving somewhat difficult to maintain my day job whilst also manufacturing and delivering Nelevators. However, we have delivered nearly 100 units now, mostly N Gauge, but with the first batch of OO units finally being shipped as well. All of the revised OO tooling has now been completed, with the new stacker ends arriving two weeks ago, so we are starting to get through the back-log of outstanding orders slowly but surely. We hope you’ve had a relaxing summer and some great model progress has been made. It’s been a while since our last newsletter, but that doesn’t mean we haven’t got a lot of news to tell you. 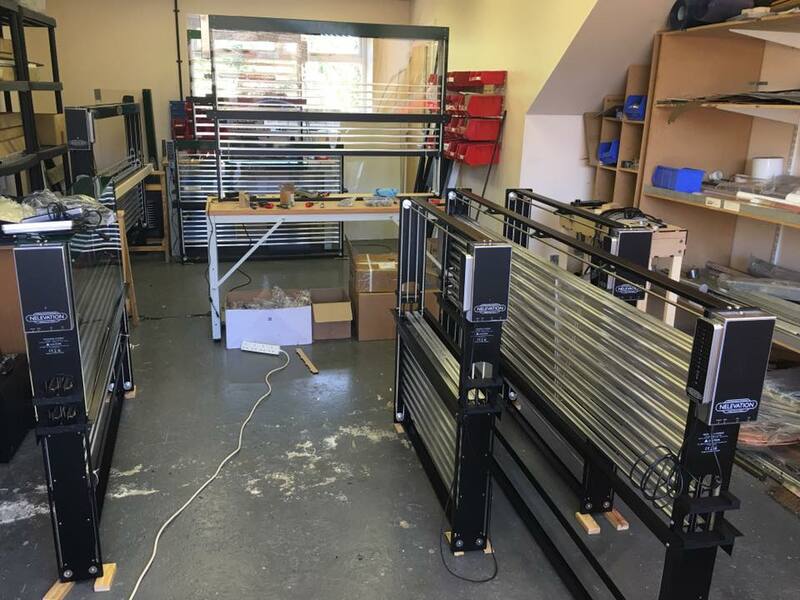 It’s been flat out in the Nelly shop: building, delivering and developing the Nelly range and peripheral products. Autumn’s here, which means the show season is upon us again, but more about that later. There’s a lot to update you on, so here goes! Welcome to this newsletter and firstly may we apologise for not being able to attend Model Rail Scotland. It was a great shame as it is such a well organised and well attended event. We can assure you however that we will be at Alexandra Palace (stand 85) for the London Festival of Railway Modelling and are looking forward to seeing some of you there. With the winter stretching out ahead of us, most of us are probably spending more time indoors and consequently turning our attentions to our model railways, and perhaps to the Nelevator too. In this newsletter we’ll be bringing you further updates as to the state of production and the keenly anticipated delivery dates, plus some more developments that we’ve been working on in parallel. With July and August out of the way and September stretching ahead of us, we are now all back from our holidays and have our noses firmly attached to the Nelevator grindstone. In this newsletter we’ll be bringing you updates as to the state of production and anticipated delivery dates plus some interesting new developments that we’ve been working on in the background.